Oceanic Systems, specialist designers and manufacturers of world-class marine systems for control and monitoring vessels, is leading the way in the marine industry with its use of the latest heat pipe technology for efficient cooling and to eliminate the use of moving parts in their computer units. 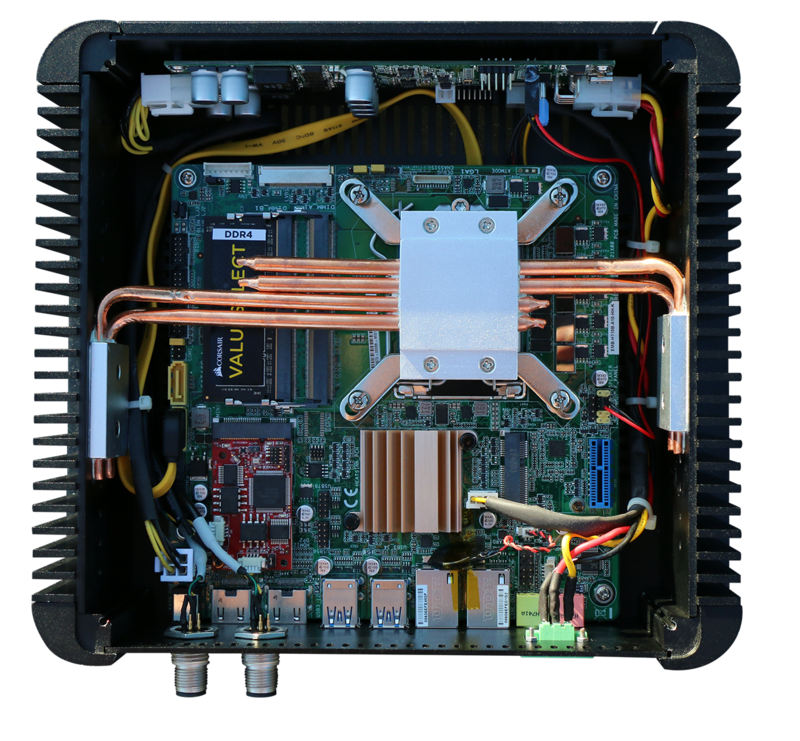 The company has introduced heat pipe technology to its cutting-edge Poseidon System, whose compact computer unit with its fast and powerful Quad Core Processor powers an advanced display of vessel data. Utilising heat pipe technology ensures that the components inside the Poseidon processor are kept cool for a long reliable life without any moving parts to clog or fail in service. The Poseidon system controls and monitors systems including but not limited to tank levels, engines, AC power and digital switching, DC power and digital switching. It also controls and monitors temperature, bilge and fire detection systems, cameras, weather information and navigation information. User configuration is simple – customise displays, move, add and delete controls and choose pre-installed options to get started. Poseidon supports up to two primary helm displays and up to eight secondary displays elsewhere in the vessel across the network, readable on Oceanic Systems’ BlackGlass high-resolution touchscreen displays. Poseidon’s computer unit heat pipes act as heat transfer devices, combining the principals of thermal conductivity and phase transition to transfer heat from the processor quickly and efficiently. As the processor produces heat it is absorbed into an above alloy block and is then transported along each hollow heat pipe. These pipes hold liquid and some air space so that the heat can evaporate the liquid into a gas. The gas travels down the pipe, before cooling on a plate on the outside of the casing where it condenses into a liquid once again, releasing the latent heat before running back to the processor. Due to the very high heat transfer coefficients for boiling and condensation heat pipes are highly effective thermal conductors. Poseidon is being chosen by sailing and motor yachts as well as commercial vessels around the world, all of whom seek state of the art and completely controllable advanced graphics in a screen display.